More vacation for less money - Free admission to 190 sights and attractions throughout SalzburgerLand. 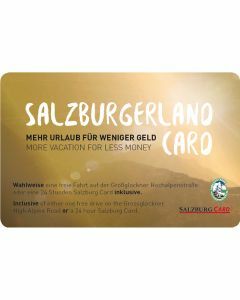 Please note: ordered and payed SalzburgerLand Card(s) are sent to you up from mid-April 2019. Many thanks for your order and kind regards from SalzburgerLand. More vacation for less money - Free admission to 190 sights and attractions throughout SalzburgerLand! 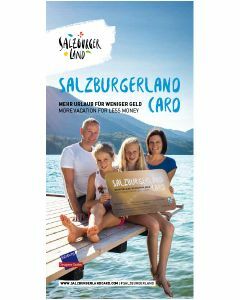 Family Bonus: For the third child and more (between ages 4 and 15.9) within a family, the SalzburgerLand Card is free (offer also extends to single parents).